According to Stephen, the team comprised of “[Brahim] “Brian” Estephan, Danny (Brahim’s brother) and Ralphy,” and was around before Brahim played with the ‘wackers and Ironmen. Stephen guesses that the Dealers of Death existed around 1993-1995 and then turned into a different team but Stephen couldn’t remember the name. 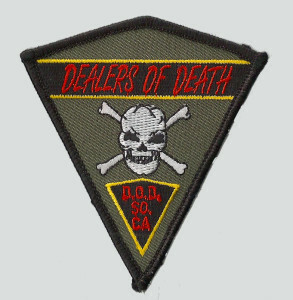 Paul Schreck received a couple of these patches from Brahim and gave them to me. 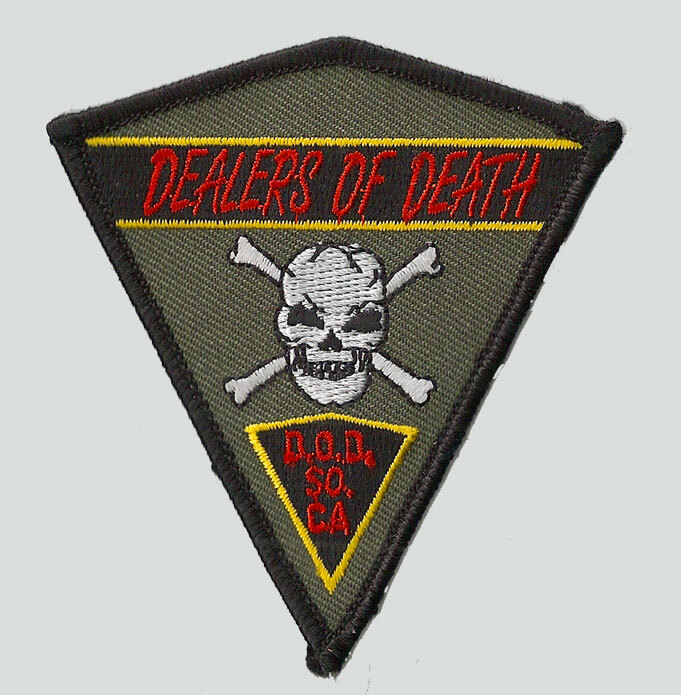 Anyone else remember anything about the Dealers of Death?